We spent the majority of our summer last year camping at state and national parks across the Southwest. At each of these parks, I did extensive hiking with the boys. The Southwest in the summer can be brutal, and because of the dry air, you can get dehydrated without even knowing it. That is why it is so important to plan when hiking with kids, and to make sure you are providing them with the items they need to stay safe and have a great time. Next week, we head off on a 70 day road trip across the Northwest, and these are the tips I plan to follow to keep them protected. When hiking, vision needs to be unobstructed. You need to constantly be on the lookout for dangers like snakes or loose rocks, and of course, you want to be able to see the beauty around you clearly. Sunglasses are not always the best option when hiking with kids, so instead, pack a hat. A hat can shield their eyes and face from the sun and help them not burn while still having a clear view of the path in front of them. Walking sticks are a great choice for kids. Not only do they help them balance, but they can be used to help hold branches or briars out of the way when hiking. You don't have to invest in an expensive walking stick, we used long sticks of bamboo last year without issue. This can mean different things depending on where you will be hiking. If you are going through the woods without a clearly defined trail, long pants may be the best option. Want to stay comfortable in hot weather hiking? A shirt with moisture wicking material may be best. Regardless of where you plan on hiking with kids, be sure they have sturdy shoes made for hiking with plenty of traction. Overheating can be an issue when hiking, especially with kids. The best way to avoid this is to take frequent breaks to rest in shaded areas, and make sure you have plenty of replenishing snacks available. You can also invest in neck wraps and other items that help to keep you cool. We use the Frog Togg neck wraps and love them. Perhaps the most important thing you can do when hiking with kids is to pack plenty of water. Not soda, not juice, but water. Hiking, especially in hot weather and take a lot out of you. You need to make sure you are staying well hydrated. Getting children to drink water is hard enough, but getting them to drink warm water can be even trickier, that is why products like the Zojirushi Vacuum Mug are so great, they are stainless steel vacuum sealed mugs that can keep your liquid hot or ice cold for up to 6 hours! We recently had the chance to try out the Zojirushi Vacuum Mug while hiking, and the kids loved it. I could carry a big hydration pack and give the mug to my youngest, and he would have a cold drink for the entire hike. If he ran out of water, I could simply refill the mug with water from my hydration pack and he still had ice left over from the drink before to keep it cool! I plan on getting each of the boys one for hiking this summer. Do you go hiking with you kids often? 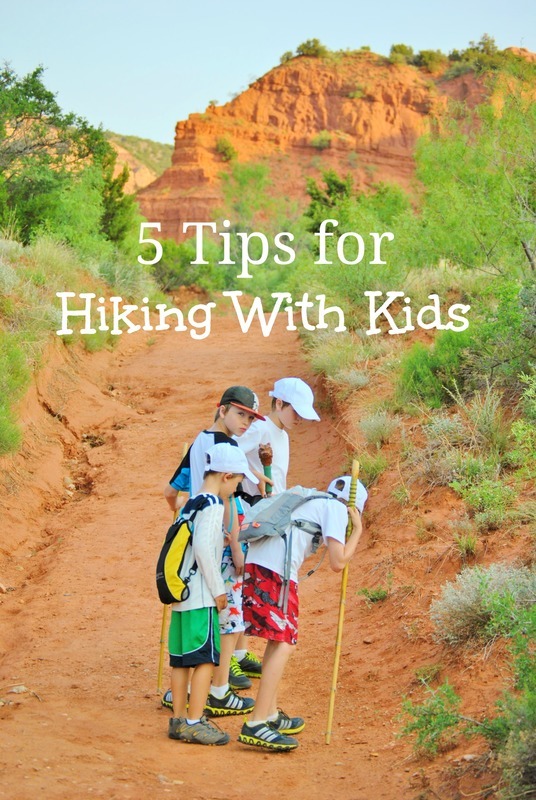 If you have any tips for hiking with kids, feel free to share them in the comment section below! Be prepared when hiking with kids, enter to win a Zojirushi Vacuum Mug using the Rafflecopter form below! You can connect with Zojirushi via Twitter, Facebook or by subscribing to their newsletter. Giveaway ends 5/23/14 and is open to US residents 18+ only, complete rules can be viewed here.